We really don’t believe in people and blog posts that dole out fixed rules on naming a company. It’s not the name the makes the business famous, it’s the quality of services or products they provide. Apple doesn’t have the ‘cool quotient’ today because it is merely named Apple. It’s the series of successful products they have given to the world. But there are some things you must keep in mind before naming your business only for the sake of convenience. Here are a few overarching tips and guidelines. This is very important in today’s online world – You can have the best name for your business in the world but it won’t be of any use until you have an available domain name for it. Make sure you don’t have to compromise with a .net or a .biz domain name when you actually wanted .com, just because the domain name of your choice has already been taken. The time in spending the right domain name may have far – reaching positive effects to your Business . In fact, this is one thing you should be doing when you have just begun to conceptualize your business. And as most of you might already now, many business people bulk buy domain names to cover for their future businesses. This really depends on what you business is all about. If you have B2B products and services where you’re never really going to advertise on billboard or commercials, or if you have a business where you are not going to use make heavy use of the internet, you may choose to name the company with your family’s initials or some such. But if your branding heavily depends on being web and customer friendly, an extremely common name may not carry much value. And it might already be overused on the Internet. Whether your name is common and dull or highly abstract and hi-flung, it should convey a story behind it. Having said this, we don’t mean that your company’s name should be self explanatory so that the customer understands it at the first go. Here is an example – On your website, you might want to have a small section on why your business is named the way it is. This might create a nice emotional hook in the longer run. Apple and Yahoo! are prime examples of names not directly connected with the products and services they offer, but they have a story of why they were named so. You might want to work with a graphic expert before zeroing in on the name of your company. When you make logos, letterheads and other visual representations of your company, you may find out that reducing just one or two characters from the existing name would have made things easier for your graphic artist. Instead of regretting this flaw later on, consult your graphic artist about the name or acronym of you business much before you freeze it on a domain or on legal grounds. You may decide to add a ‘c’ instead of a ‘k’ to add a cool or inspirational quotient to your company’s name, depending on the products or services you offer or just for the heck of getting a domain name. But going the other spectrum in misspelling your company’s name without any reason will harm your brand. The marketing fad of misspelling names has now been so overused that it’s almost passé. Inverted names can work in some scenarios brilliantly, but names like KwalityPhilters (for Quality Filters) is just trying too hard. Naming a business or a company, at the end, is a very personal choice. While some believe that names should inherently reflect the nature of the business, some believe the complete opposite. In fact, some of the most famous companies in the world have flouted most naming rules. So, as they say, the ball is in your court! Let us know if you have any tips that will help readers when it comes to naming their business! Good information to choose name. thanks a lot . i was facing a great deal of problems while setting up my business. your post is really a nice help for aspirant entrepreneurs . Great Insights. 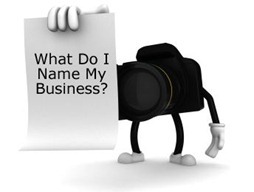 Naming a Business could be a time consuming task there are lots of things to consider. You also have to check if it is already registered. There are also tools that you could use like google keyword tool and if you need help naming a business there are crowd sourcing websites like http://www.squadhelp.com/. Good Post. Selecting a business name is easier if you have a clear idea of what your business' scope shall be. Trying to come up with a name before everything else is counterproductive.